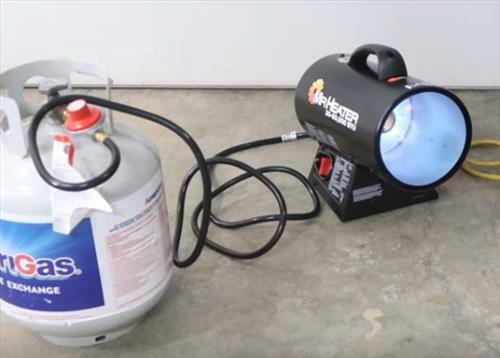 Propane heaters are great units that can put out a lot of heat without running up an electrical bill. They are used in garages, warehouses, or most any open working space that needs to be heated. The Mr Heater is one such unit that can heat a space up-to 1500 Square Feet. It comes with everything needed except a propane tank which will need to be bought separately. 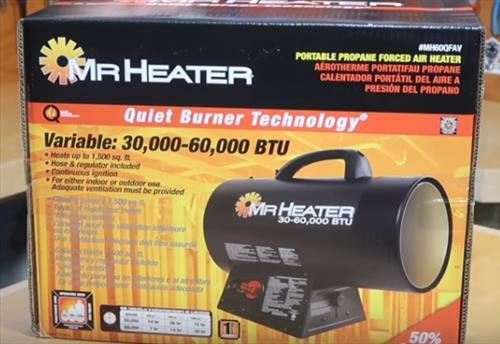 A nice feature of the Mr. Heater is the QBT technology which allows it to run much more quietly compared to older units. Anyone who has used an older unit knows they can have a loud whooshing sound similar to a jet. This is good news for anyone who would like to quiet things down. It does still make noise so dont expect it to be completely quiet. The package comes with a regulator and hose attachment but a propane tank will need to be bought or rented. The box says it can run up-to 14 hours on 20 pound tank with the setting on low, which I still need to test. The Mr Heater works very good at what it is built to do which is heat an open space. I ran it inside of a two car garage when the temperature was around 20-25 degrees out and it had no problems quickly heating it up. So far I am very happy with it and plan to use it much more. I am still testing the unit out and will update this post if anything changes. Will it heat a 12 vy 12 room to 130 degrees ?